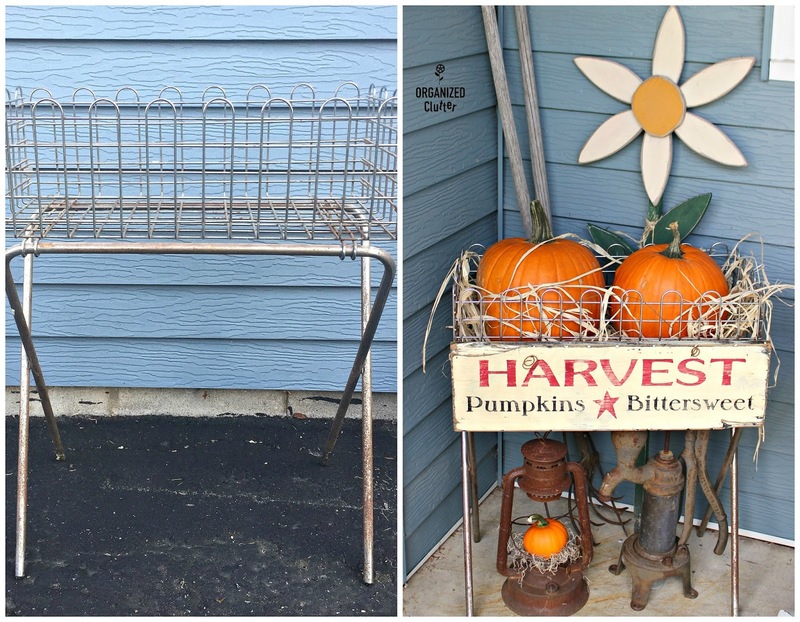 This great little vintage table was one of my garage sale and thrift shop finds in August. It's a somewhat unusual pedestal table because its top is rectangular and not round or oval. 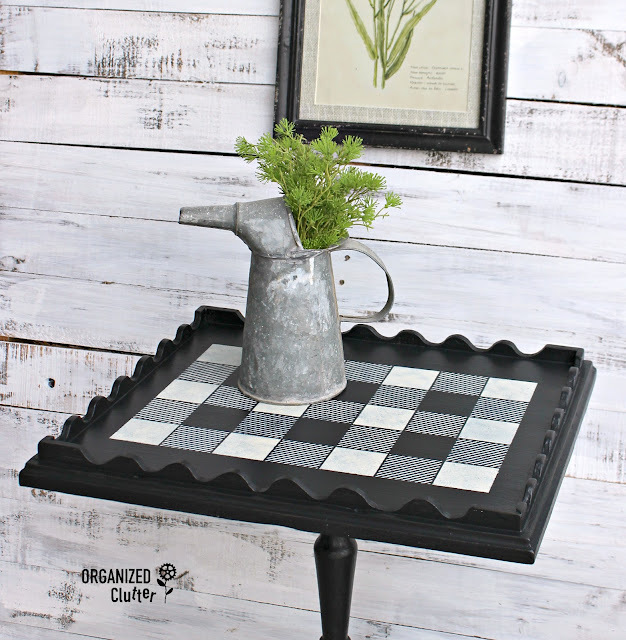 First I gave my little table two coats of Pure Black Dutch Boy Chalky Finish paint from Menards. 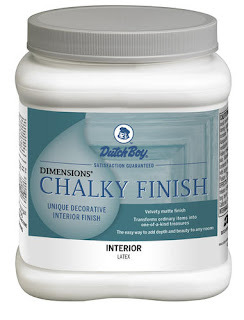 It is one of the numerous knock off Annie Sloan Chalk Paint lines, and I use it from time to time, mostly in black or my favorite color Antiquated Lace. So here is my little table with two coats of black chalky finish paint. 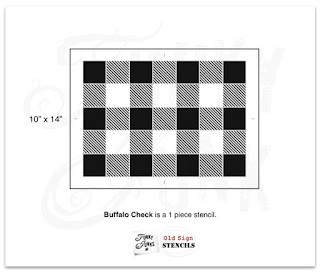 To give the little table some added interest, I decided to add my *Old Sign Stencils Buffalo Check stencil. I used Ceramcoat Acrylic Paint in Light Ivory to stencil the white areas. I just centered the stencil on the tabletop. I didn't stencil the pattern all the way to the edges because of the raised scalloped edge. I love this stencil, and NO way could I cut it. I sealed my table with Varathane Crystal Clear Water-Based Poleurethane in a Satin Finish . 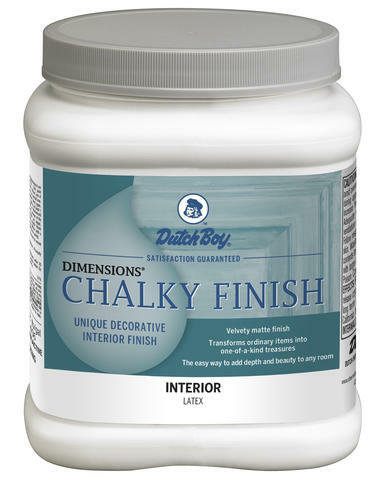 Dutch Boy Chalky Finish Paint suggests a wax, but I like to use a water based poly that does not yellow and offers more protection and need not be reapplied periodically. It's also easier to apply than wax. I love the transformation! It's all dressed up, like a black tie occasion! Painting vintage furniture is not for everyone. I don't paint any of my family heirloom pieces, but I do paint vintage thrift store and/or garage sale purchases. 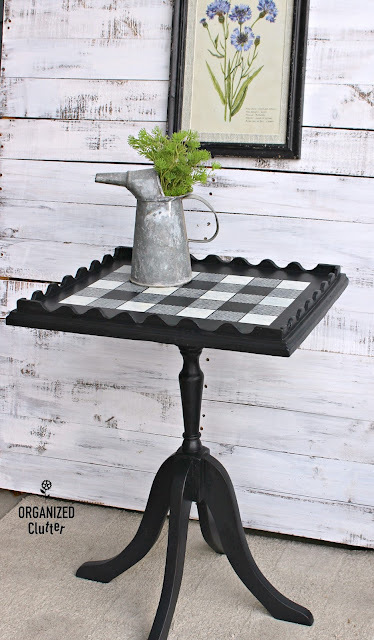 Everyone needs at least one pedestal accent table! WOW, your tables looks awesome! 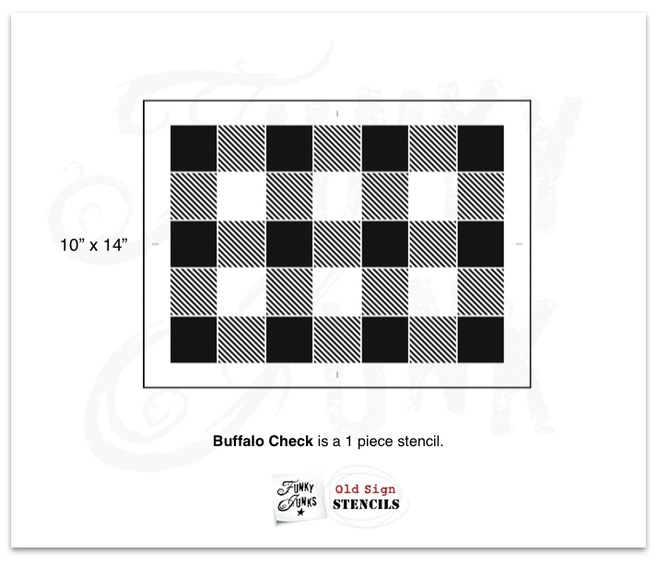 Loving the buffalo checks! Great Job! 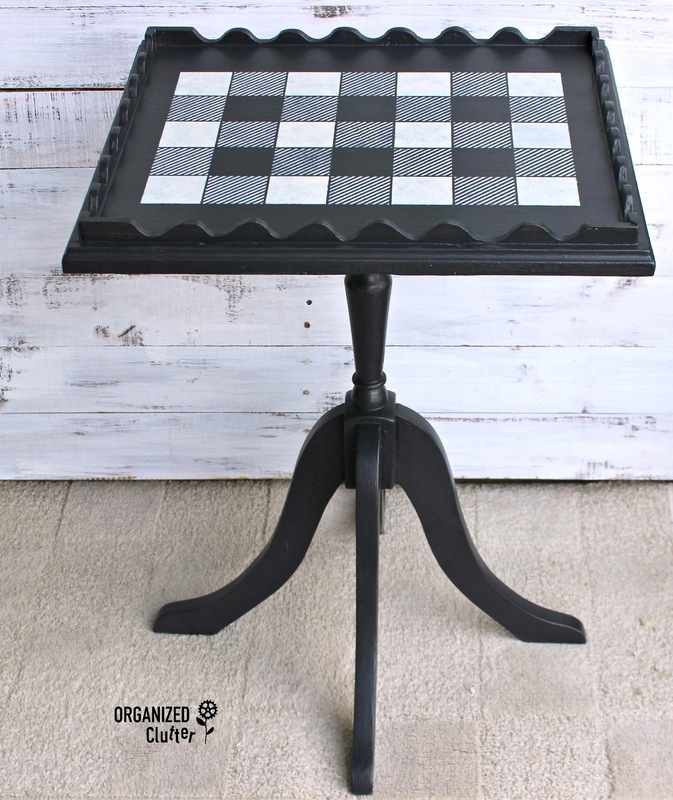 You know, this would make a cute chess/checkers or Tic Tac Toe table too! 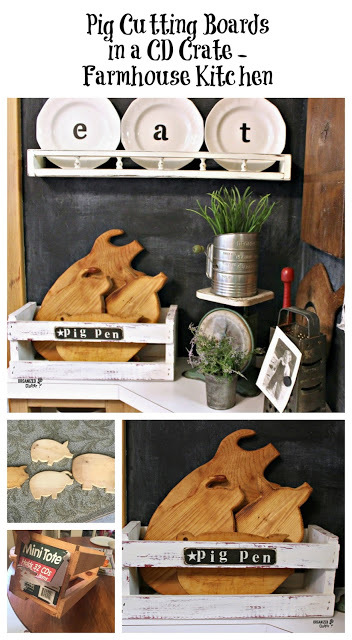 Love this look, a great makeover. I didn't know Donna offered this stencil, a perfect one for holiday decor this year, I will have to grab one for myself! I would also like to invite you to share your projects at #fridaysfurniturefix at my place.